Glenn Healy brings almost 20 years of experience as an in NHL player, broadcaster and an NHLPA executive to his role as an analyst on CBC’S HOCKEY NIGHT IN CANADA. Healy appears in broadcasts between the benches to report all the action from on the ice, and is a contributor to CBC’S HOCKEY NIGHT IN CANADA pre-game show Scotiabank Hockey Tonight along with The Hot Stove - the popular second intermission feature. A Pickering, Ontario native, Healy signed with the Los Angeles Kings in 1985 and played most of the first two years of his career with the New Haven Nighthawks of the AHL. He was back up with the Kings in 1987 and remained there until 1989, when he signed with the New York Islanders as a free agent. In 1993, Healy was traded to the New York Rangers and won a Stanley Cup in his first season. After four years with the Rangers, Healy signed with the Toronto Maple Leafs before the 1997-98 season, where he backed up Curtis Joseph until he retired in 2001. Healy finished his NHL career playing a total of 437 regular season games and 108 playoff games. 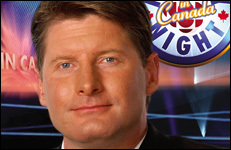 Healy quickly found his way into the broadcast booth as an analyst for CBC’S HOCKEY NIGHT IN CANADA. In 2008, Healy left broadcasting and was named the NHL Players Association’s director of player affairs which he held until September 2009.